AT&T, CenturyLink and other large telcos said the FCC's proposal to take Title II out of the current net neutrality rules will unshackle their ability to make new network investments. Joan Marsh, SVP of federal for AT&T, said in a statement that the 2015 ruling on net neutrality did not do anything but cause uncertainty for itself and other service providers. CenturyLink echoed a similar sentiment in its statement on the FCC’s move. As part of its Notice of Proposed Rulemaking, the FCC said in a statement that the regulator proposes to return to the bipartisan framework that preserved a flourishing free and open internet for nearly two decades. The FCC approved the proposal 2-1, with Chairman Ajit Pai and Commissioner Michael O’Reilly approving and Commissioner Mignon Clyburn dissenting. The Notice proposed to reverse the FCC’s 2015 decision to impose Title II utility-style regulation on internet service providers (ISPs) and return light-touch framework under Title I of the Communications Act. However, this vote does not immediately overturn the current net neutrality rules. Instead, it is the start of a long commenting period during which companies, consumer interest groups and advocates can file their views with the FCC. Finally, the Notice proposed to eliminate the internet conduct standard created by the Title II Order. By eliminating the internet conduct standard, the FCC majority said it will eliminate regulatory uncertainty for service providers. Unsurprisingly, the new proposal drew differing points of view from FCC Chairman Ajit Pai and Mignon Clyburn. 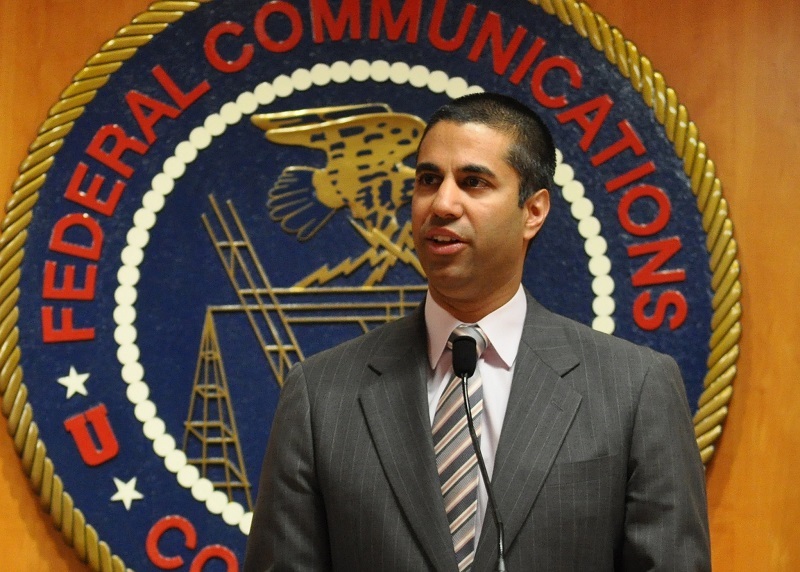 Pai said in his prepared remarks that the new proposal will give service providers a regulatory regime that has driven ongoing innovation and investment. Telecom and other related advocacy groups also greeted the FCC’s proposal with a similar divisive tone. On one hand, telco-centric organizations like the Telecommunications Industry Association and the Heartland Institute, praised the FCC’s actions. Cinnamon Rogers, senior VP of government affairs for TIA, said that eliminating Title II from the net neutrality framework will benefit customers because service providers will be able to build out additional networks to support more applications and higher speeds. The Heartland Institute agreed, adding that a lighter touch regulatory environment will encourage new innovations for broadband and other services. Incompas, which provides advocacy for competitive service providers, claims that overturning the current rules will hurt consumers and businesses. “Failed legal arguments and failed ideology presented by those seeking to let AT&T and Comcast block, throttle and control the internet will do great harm to upstarts and entrepreneurs, faith and religious organizations, and conservative and rural voices longing to be heard,” said Chip Pickering, CEO of Incompas. Meanwhile, Carmen Scurato, director of policy and legal affairs at the National Hispanic Media Coalition, said that the FCC’s action could hinder Latinos from getting access to affordable broadband services. One of the main arguments between supporters and critics of current net neutrality rules is over the effect Title II classification had on network investment. On one side of the debate, groups like US Telecom—which serves as the advocate for the traditional ILEC industry—contend that service provider spending on network facilities declined in 2015 when the current order was passed. The industry group said its estimates show that in 2016, capital expenditure for ISPs was $71 billion, down from $73 billion in 2015 and $74 billion in 2014. “Our annual report on broadband investment (see methodology here [PDF]) showed investment dropped by $1 billion in 2015 and our preliminary look at 2016 capital expenditures suggests that slide continued,” a US Telecom spokesman said in a statement. However, reports from the Free Press and Internet Association paint a different picture. According to a study by Free Press (PDF), the aggregate capital investments at publicly traded ISPs were 5% higher during the two-year period following the FCC’s open internet vote in February 2015 when compared to the two years prior. Free Press contended that 16 of the 24 publicly traded ISPs following the FCC’s vote, led by spending on core network expansion. Cable ISPs showed the biggest increase, with physical network investments up 48% over the two years. Similarly, a new study (PDF) by the Internet Association showed that service provider investment in telecom infrastructure rose 5.3% to $7.3 billion from the periods 2013-2014 to 2015 to 2016.